In my opinion, knees tend to be overlooked and something we don’t pay much attention to in our lives (even I’ve been guilty of this!). But if you think about it, our knees are incredibly important and play a huge role in supporting the body. They allow us to walk, run, bend down, drive, etc., and yet hardly anyone knows how to actually look after them. Now, you might think that ‘exercising’ would be a good thing for you, and most of the time it is – it keeps you in great shape and is good for your joints. But, done incorrectly, exercise can GIVE you knee pain instead of alleviating it. Here’s an example: if you like to go running or jogging it can sometimes do more harm than good. Each time you take a stride your leg is bending, causing your knee joints to work. Over time, this can cause wear and tear of the joints. In fact, even walking can sometimes can cause aches and pains in our knees if we don’t look after them. Now, running and walking are NOT bad exercises. They are actually very good for you. Joint problems such as knee pain usually occur when you don’t look after yourself properly. Specifically, it’s important to prepare your body properly for these types of exercises so aches and pains don’t keep us from being active and going about our daily lives. Show your knees some love whilst exercising by stretching before and after you exercise. With a warm up, a lot of people don’t realise that stretching beforehand can actually help you walk, jog, and run further and with more ease (and reduce the risk of injury!). Cooling down has exactly the same principles. Stretching after exercise is key to easing stiffness in the morning. When you stretch your muscles after exercise, your body lets go of that lactic acid – which is the reason why you are sore the next day. Stretching after exercise also improves circulation and flexibility, helping you to ease and chances of knee pain. If you work somewhere where you are doing heavy lifting all day, you may have been told over and over to ‘lift with your knees.’ Yes this is the safest way to lift, but remember to look after your knees when you come home! Maybe you don’t work in this type of environment but often pick up your grandchildren after chasing them around the garden? It’s a bit like a workout, it might even feel like it sometimes! But when you get home, make sure you stretch before you go to bed. 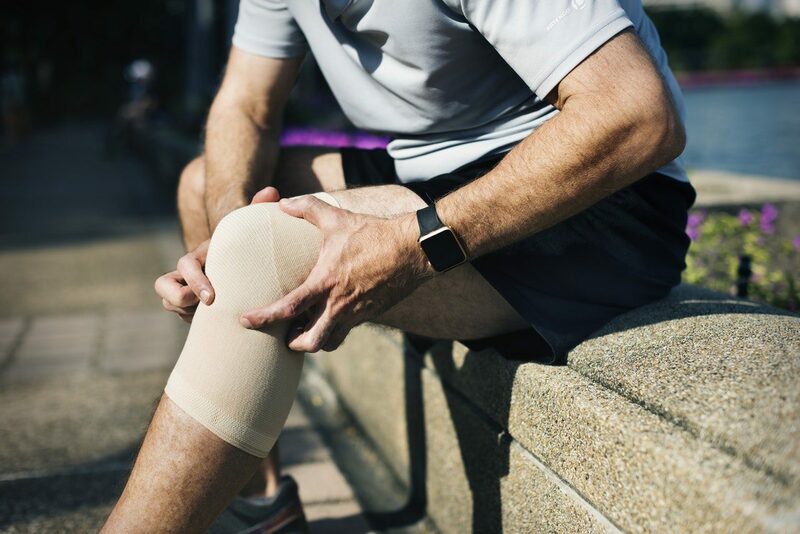 Your knees have had extra strain on them as opposed to any other day, which could leave you in pain the next morning when you roll out of bed. Now for those who love to do the Gardening when the sun’s out – How often do you plant your flowers kneeling down? This one may go without saying but this is probably one of the worst things you can do to your knees! The amount of pressure you are putting on them is quite something! Not only are your knees supporting your full body weight, they are forced onto the hard ground and are kept in that position for long periods of time. The best way to approach gardening is to bring all your tools with you, get a cushion and bring over a knee rest too. A lot of gardening shops have knee rests to help, although I understand sometimes even these can become uncomfortable. My advice would be to try and use one, and if it becomes too much, sit on your bum and use the cushion. You may even prefer to kneel on the knee rest with the cushion. However the most crucial part is timing! Try not to kneel for longer than 10 minutes with a knee rest, get up often and move around before kneeling down again to get some movement to your joints. Yes, the gardening may take longer but you will be looking after your knees, and if you love gardening then you have nothing to lose! So next time you have a slight ache or pain in your knees, don’t brush it off! Our knees are what keep us independent and living life to the full, remember that! And of course if you need more help with managing knee pain, you can always book into the clinic. Just give us a call on 01285 654059 and we’ll be glad to help.